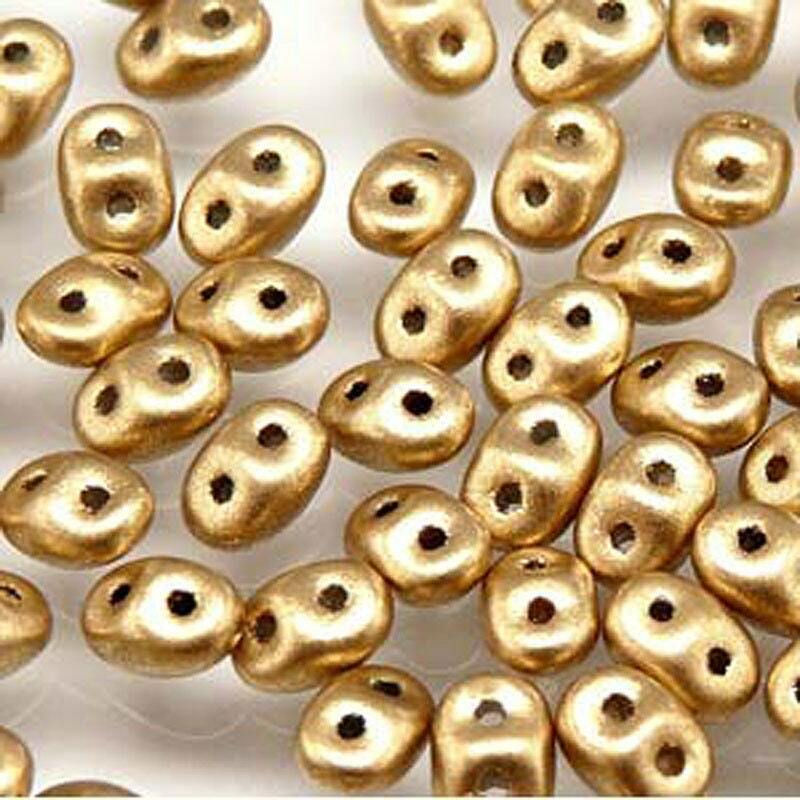 2.5x5mm Crystal Bronze Pale Flax Gold two hole Czech pressed glass super duo seed beads. This color is not shiny, but more of a flat gold finish. Great beads & quick shipping! Great products fast shipping ! Thank you will return to shop again says it all really ? Doesn't it!